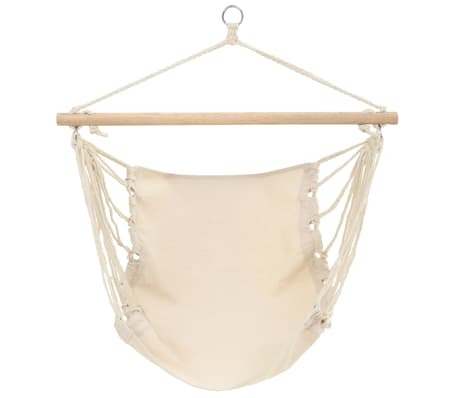 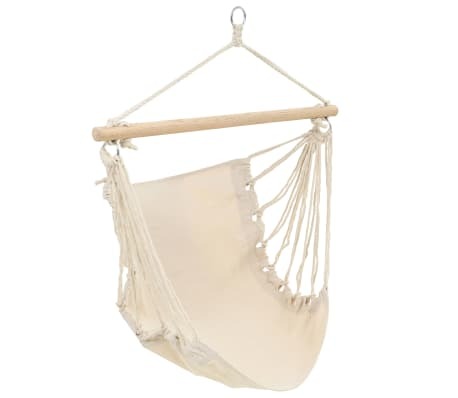 Description of Hammock Chair Cream 39.4"x31.5"
This cream colored hammock has the shape of a comfortable chair and is the ideal kind of garden furniture to relax in. The hammock is suspended from a wooden spreader. 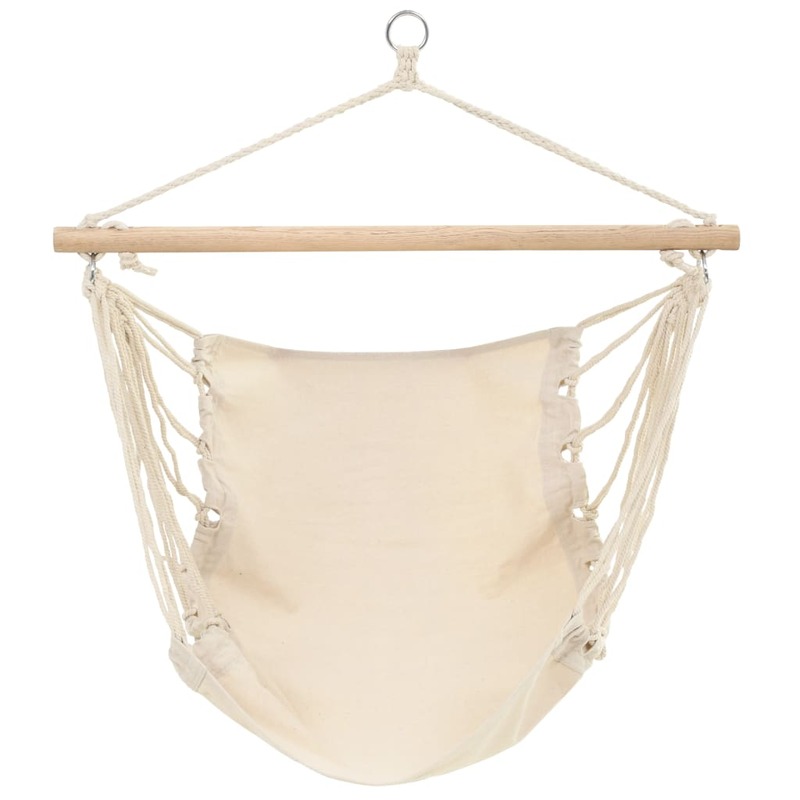 Through the metal eyelet you can easily attach the hammock to a stand, pole or tree. 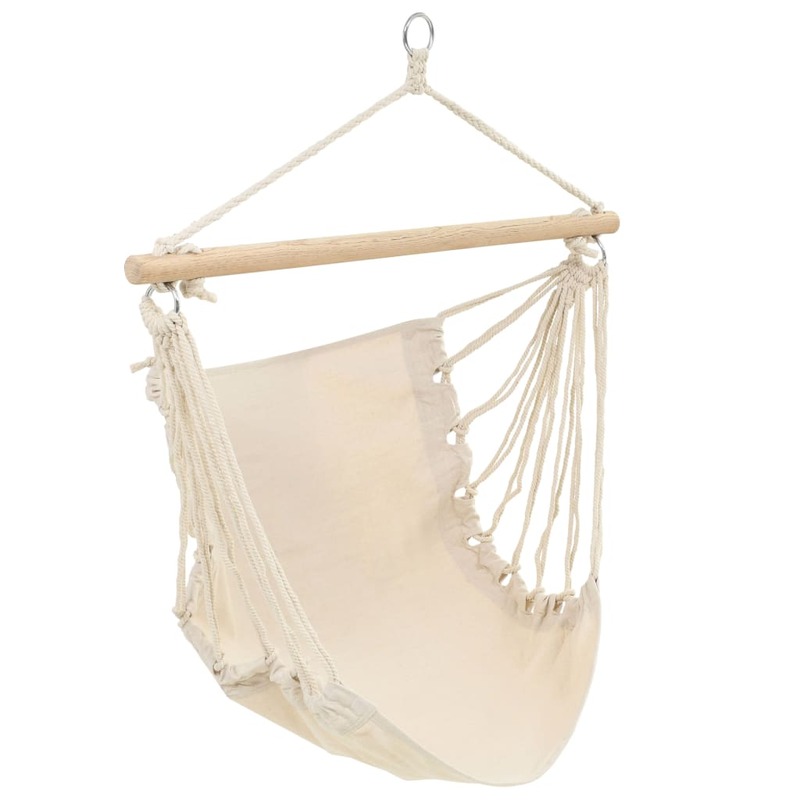 The hammock chair is suited for 1 person and has a carrying capacity of 242.5 lb.